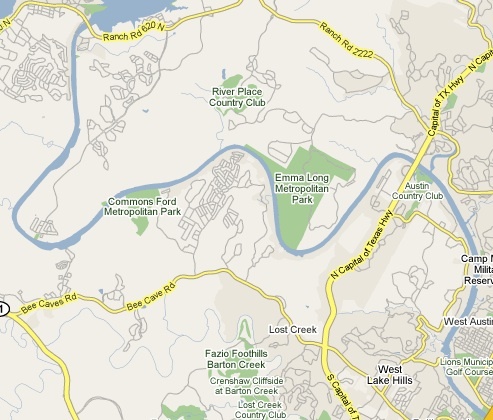 LAKE AUSTIN (Travis County). Lake Austin, formerly Lake McDonald, is an artificial lake in the western part of Austin on the Colorado River in west central Travis County. Lake McDonald, the first large reservoir in Texas, was formed by the construction of Austin Dam, which was begun in 1890 and completed in 1893. Because there were no other major obstructions of the Colorado River at that time, the Austin Dam trapped large amounts of sediment that washed downstream. Gradually, the pressure caused the dam to slide, and in 1900 it gave way during a heavy rainstorm, causing extensive flooding. The dam was partially rebuilt in 1915, but construction was abandoned because of a dispute between the contractor and the city of Austin. High waters destroyed the unfinished dam later that year. In 1938 the city of Austin gave a contract to the Lower Colorado River Authorityqv to build a new dam. Tom Miller Dam (at 30°18' N, 97°47'W), a concrete pier and slab structure 1,590 feet long, was completed in 1939. 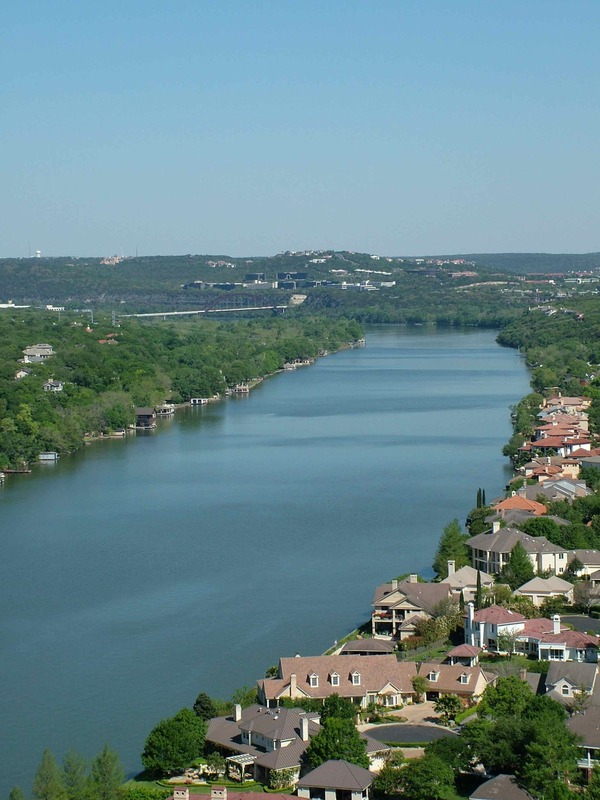 Lake Austin, one of six LCRA projects on the Colorado River, is immediately downstream from Lake Travis,qv which supplies water to Lake Austin for constant-level reservoir operation. Lake Austin reservoir has a capacity of 21,000 acre-feet with a surface area of 1,830 acres at an uncontrolled spillway crest elevation of 492.8 feet above sea level. It is operated at a practically constant level, since electrical generation is coordinated with the turbine discharge at the Marshall Ford power plant at Mansfield Dam, twenty-one miles upstream. There are two generators with all necessary auxiliaries in the powerhouse at Tom Miller Dam, each with a capacity of 6,750 kilowatts. The electrical power can be delivered directly to the city of Austin's distribution center or to the LCRA's interconnected transmission system. The drainage area above the dam is approximately 38,240 square miles, of which 11,900 square miles is probably noncontributing. 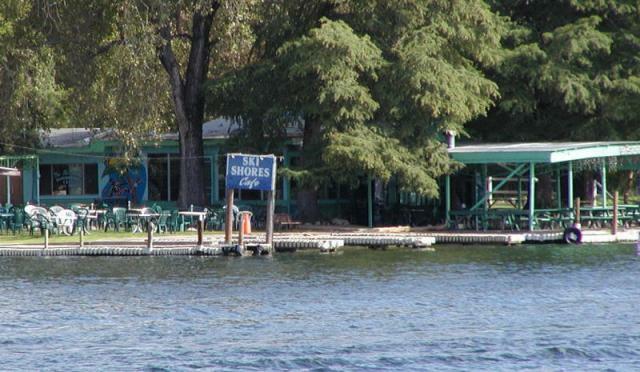 The lake provides opportunity for a variety of recreational activities, including camping and water sports, and has attracted several development projects in the form of lake houses and subdivisions. OUT & ABOUT -- There are SO many things to do and see in beautiful West Austin. Below are a few of our favorites. Enjoy Ski Shores Waterfront Cafe! 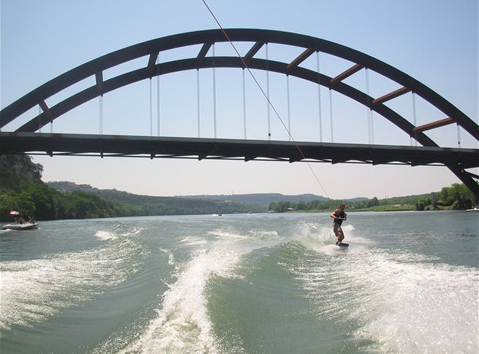 Mary Quinlan Park is a scenic 5.8-acre park with a boat ramp and 200-feet of shoreline on Lake Austin. Park facilities include a picnic area, public restrooms and basketball courts. Activities include birding, boating, fishing, nature study, picnicking and wildlife observation. Check out these other Lake Austin parks: Commons Ford Ranch Park, Emma Long Park, Fritz Hughes Park, Loop 360 Ramp, Selma Hughes Park, and Walsh Boat Ramp.